I’m giving away ONE signed, bound copy of Breaker, my third novel, and the second book in the Windy City Mystery Series from Random House Alibi. These printed copies are usually sent out to get blurbs, so most people, myself included, never even see them. My editor, Dana Isaacson, had a few extra, and was kind enough to send me a few copies. So if you hate reading eBooks, but enjoy my writing, here is an opportunity to get this in print. Had such a great time at the Chuck Palahniuk reading last night in Naperville. 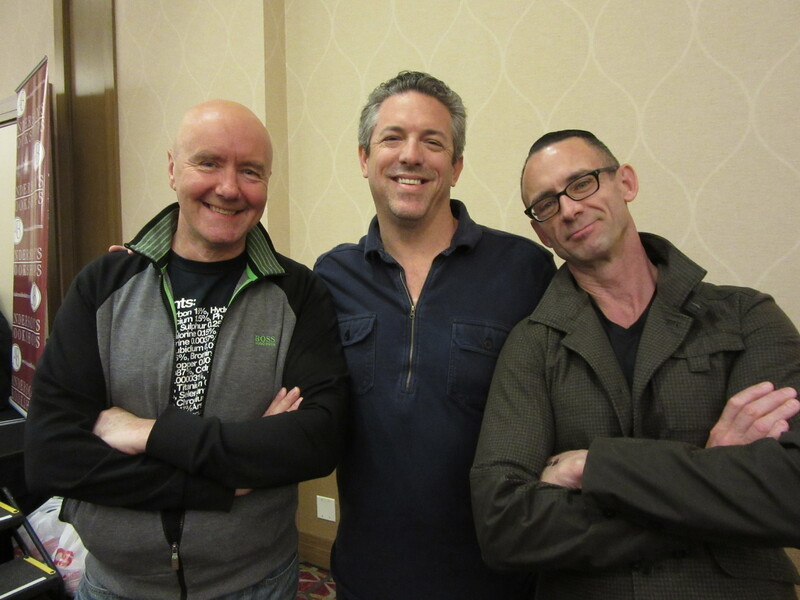 Got to hang out with Chuck and Irvine Welsh, two of the nicest guys I’ve ever met, so very generous and supportive. 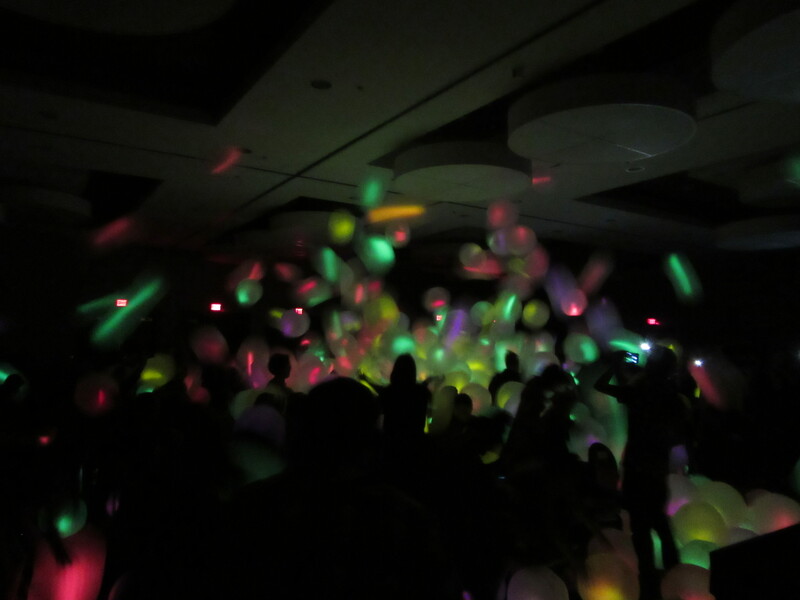 The lit up balls really show you what a crazy night it was, Chuck giving away so many cool prizes to his fans. 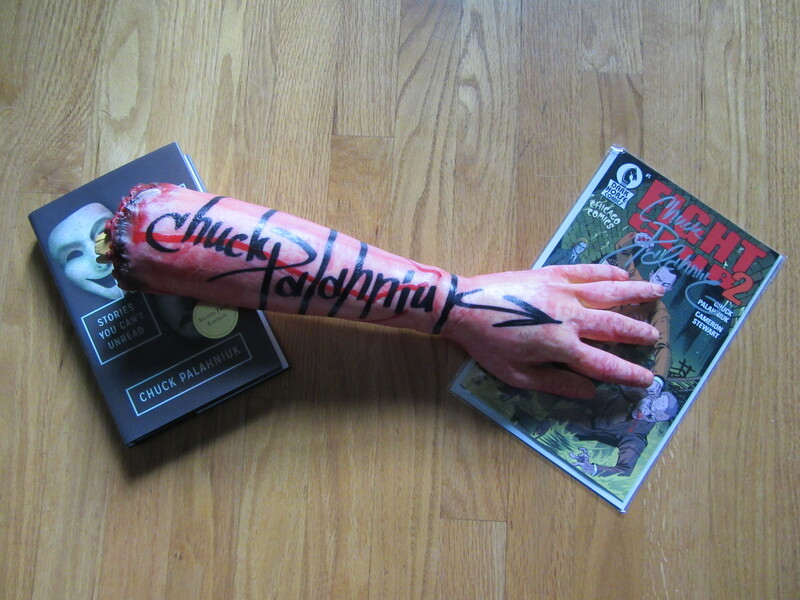 Admission got me the signed book and comic, but I was lucky enough to finally catch the severed arm. I edited Burnt Tongues with Chuck (and Dennis Widmyer) which was nominated for a Bram Stoker award, and Irvine Welsh was kind enough to blurb my novel, Disintegration, calling it, “A stunning and vital piece of work.” I’m working on Irvine and I sharing a stage in the near future, since he’s in Chicago now. So much fun. Grateful to both of these guys. Also got to hang out with Jason M. Fylan who has an excellent story in Burnt Tongues, and Kirk Clawes, who helps run ChuckPalahniuk.net and LitReactor.com.